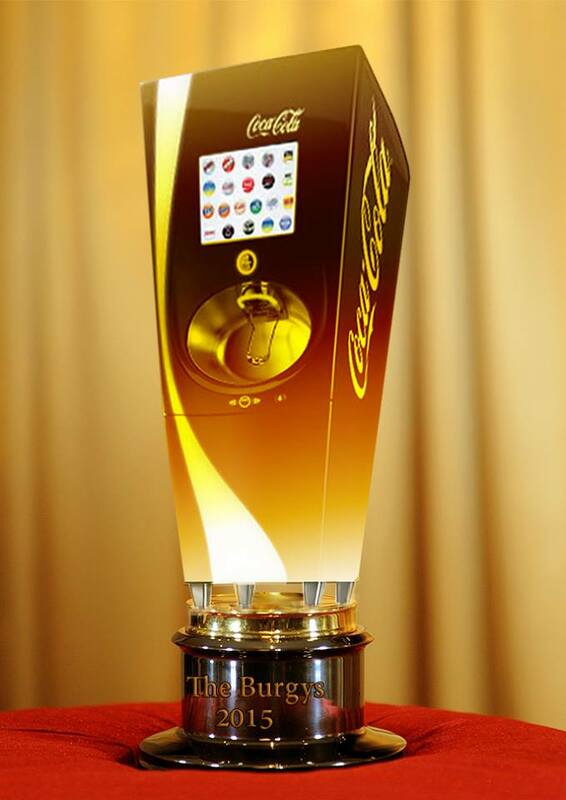 The most coveted theme park award of all… The Golden Burgy. 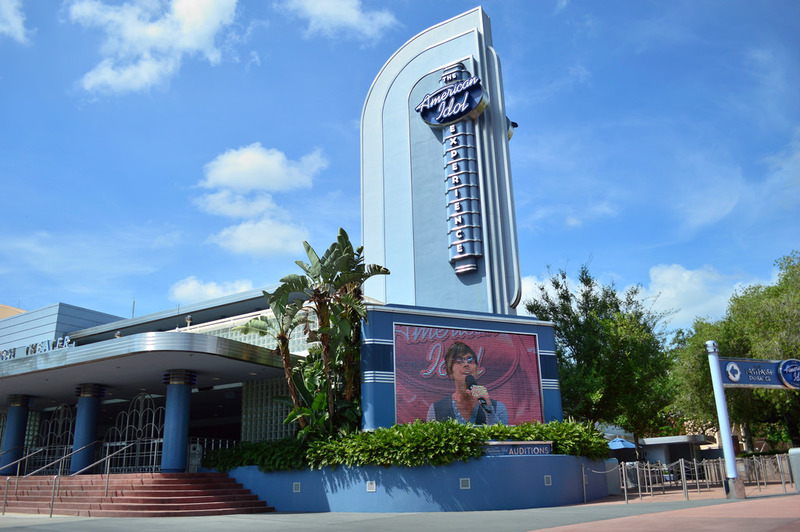 This week’s SATURDAY SIX presents the Inaugural 2015 Theme Park Awards. This weekend, while the rest of the world is preparing for The Oscars and spending hours watching awards given to films they haven’t even heard of, let alone watched (not to mention the outright Best Picture snubs of Guardians of the Galaxy and Captain America: Winter Soldier), readers of this column will be able to see their favorite theme park attractions get the attention they deserve. 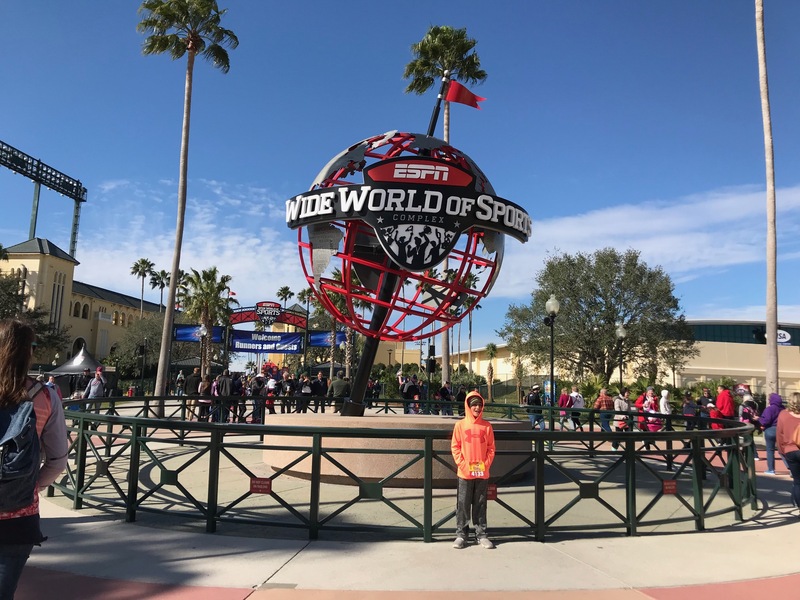 The Golden Burgy, theme park media’s highest award, is being handed out to the rides, shows, restaurants, and experiences that truly stood out over the past year. Just as the Academy Awards hand out their lesser prizes before the main show, we’d like to present two of our minor awards before we get to the big ones. First, a Golden Burgy goes to the Holy Land Experience in the category of Best Theme Park Food Pun for their Garden of Eaten Chicken Salad Sandwich. Interestingly enough, Holy Land had all the nominees in this category including JerusaLamb, Land of Milk (no honey,) and My Cup Overflows Souvenir Refillable Cup. The category of Biggest Theme Park Free Fall experience was the tightest race of all the nominees. Falcon’s Fury at Busch Gardens was the favorite to win, but the coveted Golden Burgy instead went to SeaWorld’s stock price. Now that’s a drop. What else needs to be said about Universal’s newest E-Ticket attraction? The queue for Escape From Gringotts is one of the best in theme park history, loaded with magical details from the Harry Potter films. There are incredible goblin animatronics and million dollar chandeliers hanging above that make the Gringotts Bank lobby almost an attraction by itself. 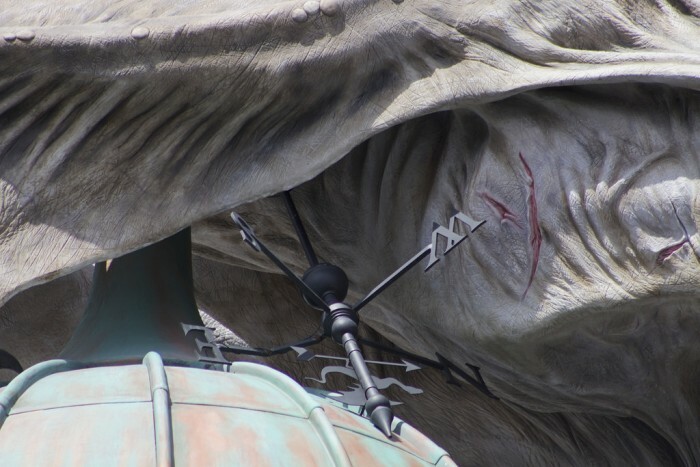 Unlike IOA’s Forbidden Journey’s “best of” trip through the first four Potter films, Escape From Gringotts places guests directly into events from Harry Potter and the Deathly Hallows Part II. 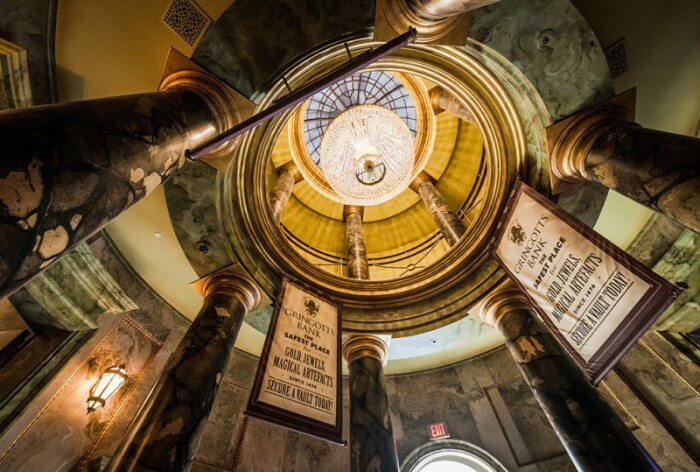 Ingeniously showing a movie scene from another perspective, Escape From Gringotts takes Universal’s motto of Ride The Movies to the next level. 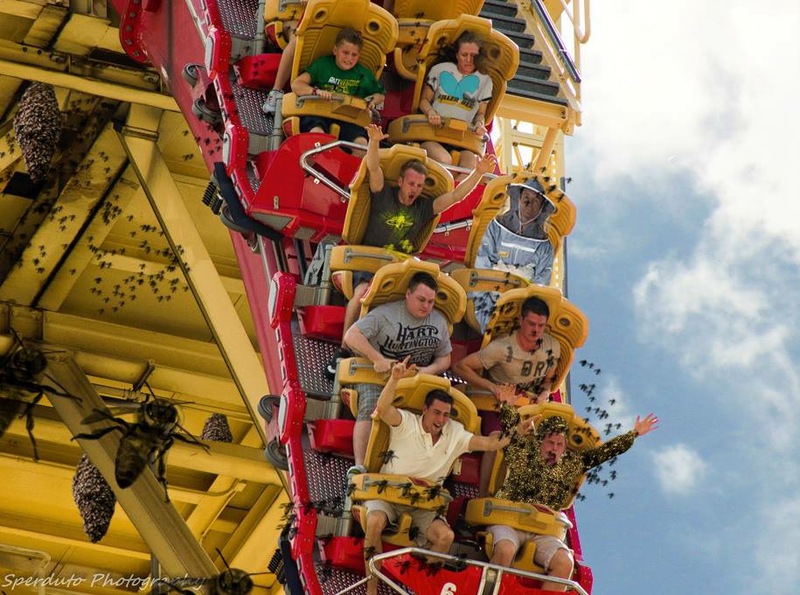 While just a minor blip on the radar in 2014, the story of Rip Ride Rockit having a minor problem with bees was enough for us to envision the plot of a new horror film. 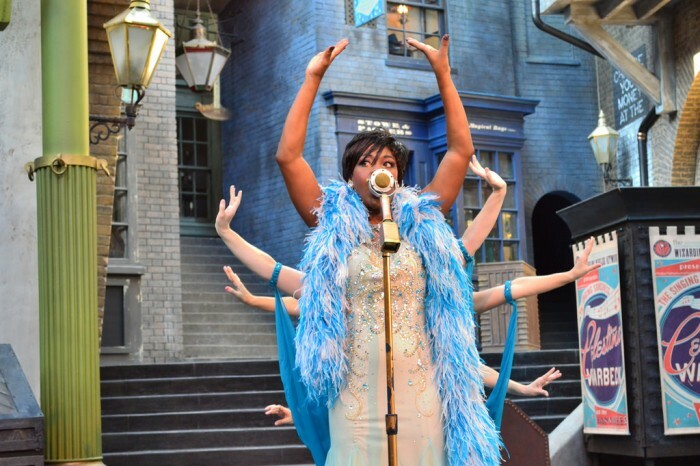 With song titles created by J.K. Rowling herself, Celestina Warbeck and the Banshees belt out wizarding world tunes in a show that has quickly become one of the best live acts in theme park history. The character of Celestina Warbeck was one that was only mentioned briefly in the Potter books (J.K. Rowling has since gone on to write a small historical essay on Celestina for Pottermore) but Universal Creative took that small piece of coal and pressed hard enough to produce a true diamond. 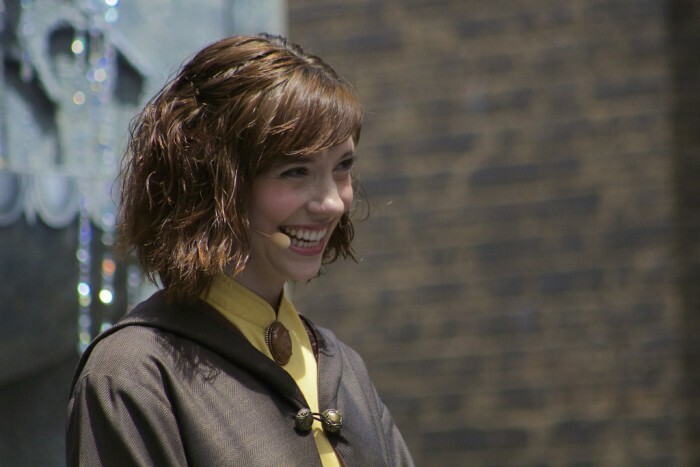 With as pitch perfect as everything in Diagon Alley is (Kreacher at 12 Grimmauld Place, Knockturn Alley, and King’s Cross Station to name just a few examples), it’s a shame that the voice actor Universal got to play Hermione Granger is so off key. For a quick scene on the Hogwarts Express, voice actors did the dialogue for Dan Radcliffe (Harry Potter) and Emma Watson (Hermione Granger,) and while the new Harry is passable, the Hermione voice is so off that it becomes distracting. How this has not already been fixed is mind boggling, and we here at the SATURDAY SIX offices will volunteer our services to voice a new track. 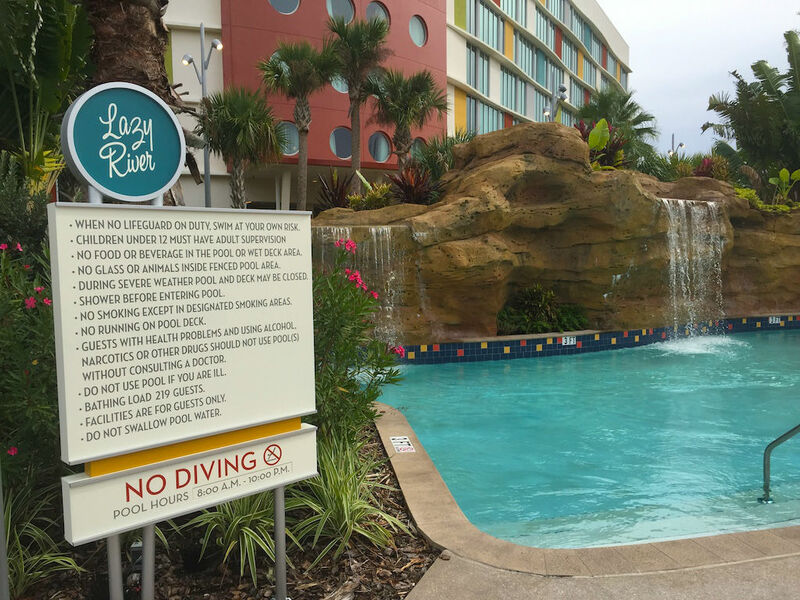 Cabana Bay Beach Resort’s lazy river. Just as the original Wizarding World of Harry Potter – Hogsmeade changed what theme park fans can expect from a themed “land” inside a park, Cabana Bay Beach Resort has redefined what we should expect from a value resort. From a lazy river, to a bowling alley, to already having multiple designs for it’s refillable mugs (please take note, Disney), Cabana Bay provides an amazing amount of amenities at a price point that you can’t say no to. Need more reasons? How about multiple bars (including one that serves PBR in a paper bag coozie), a sandy beach, and multiple fire pits to cook s’mores at. 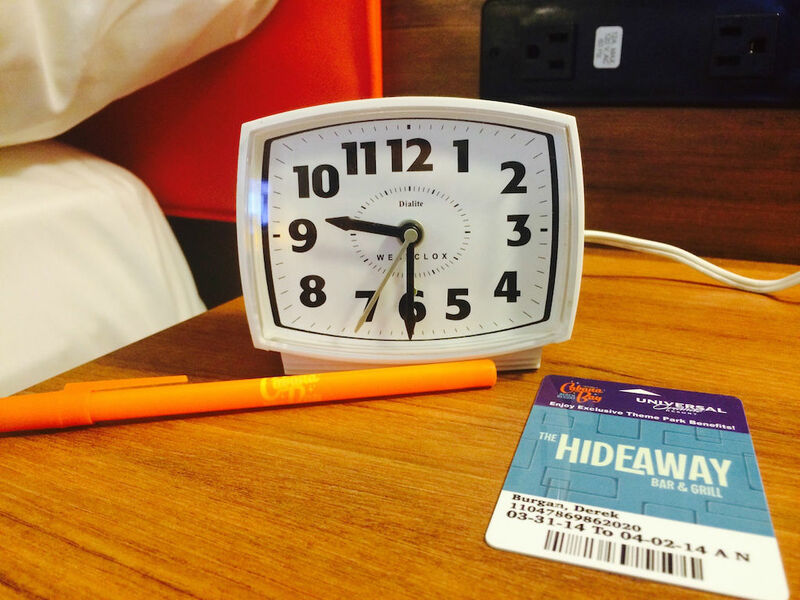 Cabana Bay is the new gold standard for value resorts in Orlando, period. Maybe the Flower & Garden Festival needs to be sponsored by 5 Hour Energy. 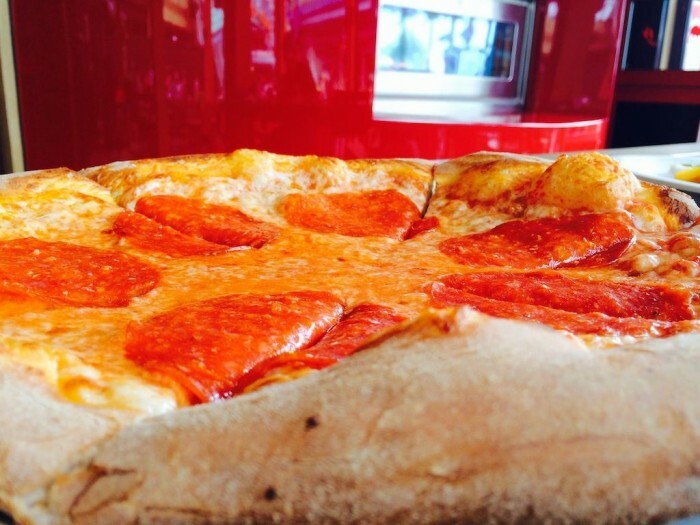 Red Oven Pizza Bakery. Antojitos Authentic Mexican Food. VIVO Italian Kitchen. Hot Dog Hall of Fame. Bread Box. Cold Stone Creamery. A new and improved Starbucks. The Cowfish. 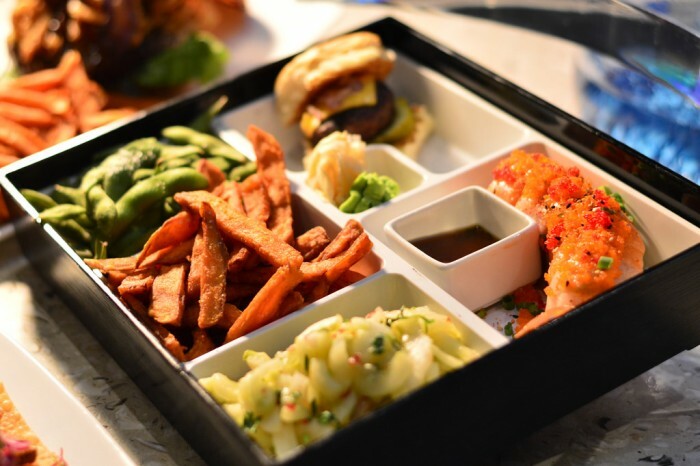 Let me repeat that last one, The Cowfish. One last time for those who haven’t got the memo, The Cowfish. 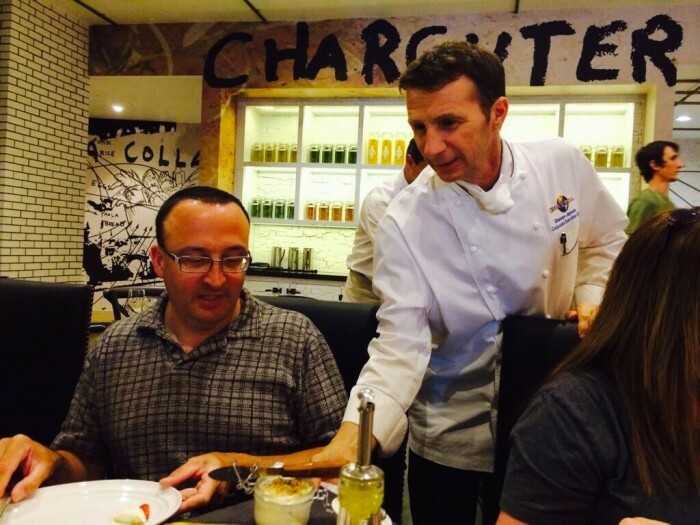 At VIVO, The Grand Poobah of TouringPlans himself – Len Testa – being served by Universal Executive Chef Steven Jayson. A Big Eye Pepperoni pizza in front of the actual Red Oven at Red Oven Pizza Bakery. The American Idol Experience. The Legend of Jack Sparrow. The Studio Backlot Tour. 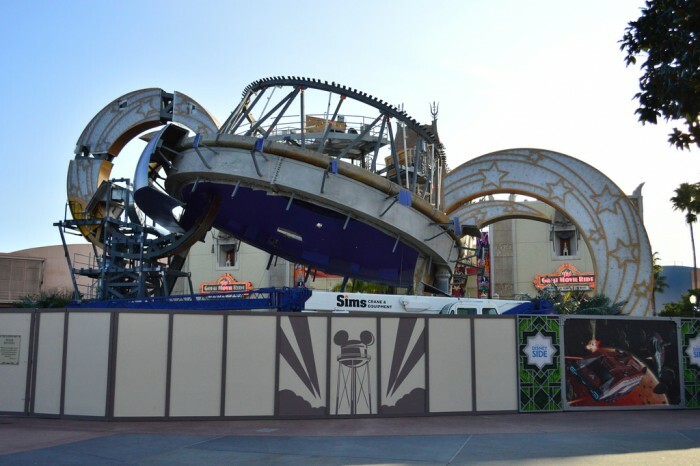 Even the park’s icon The Sorcerer’s Hat. All gone to join Sounds Dangerous! 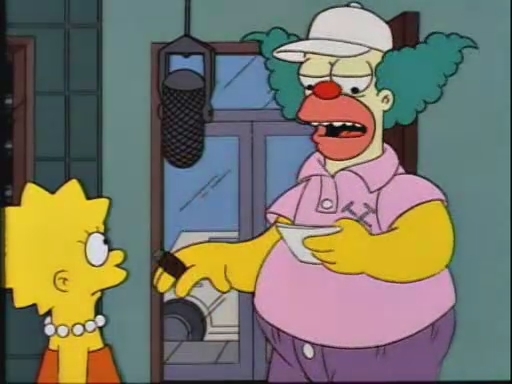 in that great big Disney landfill in the sky, with not a word of a single replacement. 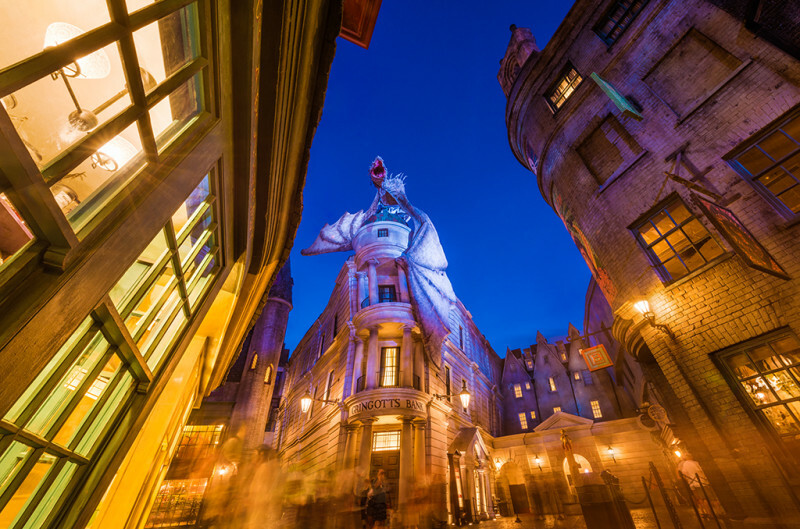 The theme park weenie to top all theme park weenies, the dragon sitting tall atop Gringotts Bank in Diagon Alley is impressive from afar, but gets even better the closer you get. Once you get beyond the massive wingspan and the fact that this dragon BREATHES ACTUAL FIRE, you start to notice all the little details. The dragon’s neck, which has been rubbed raw from years of being chained up. The weathervane which would have been at the top of building crushed by the dragon’s belly. Even more spectacular, the theming of the dragon goes all the way to the back, even though no park guest will ever see it. 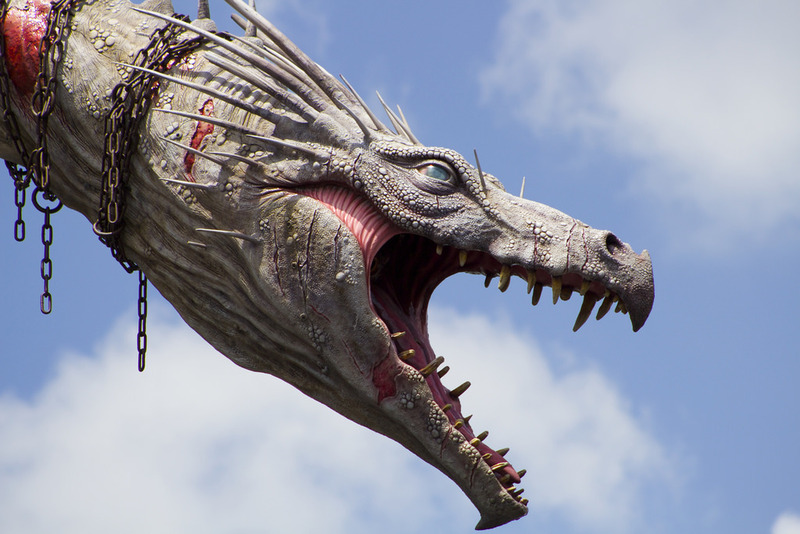 Walking into Diagon Alley from the London Waterfront is one of the biggest “wow” moments in any theme park across the world, and looking up to see that dragon is a major part of it. Usually, the closer we get to things in the park the more we spot the imperfections… the wires… the “man behind the curtain” if you will. But the closer we get to the dragon inside Diagon Alley the more real it becomes. That’s true magic. 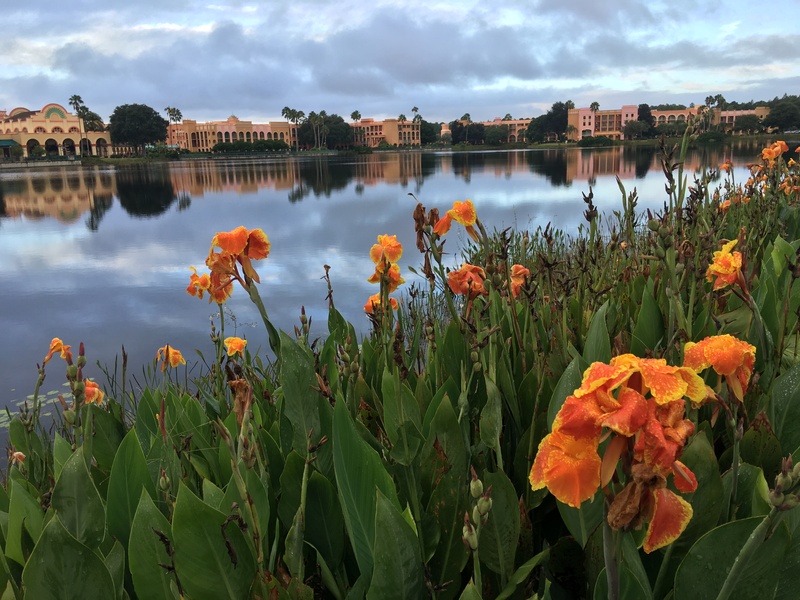 No one is a bigger fan of Disney’s Art of Animation Resort than us, so when Twitter user @FairestRunofAll got this picture during runDisney’s marathon weekend, we just had to shake our heads. Hey, typos happen. At least it wasn’t Boredwalk or Pork Orleans. 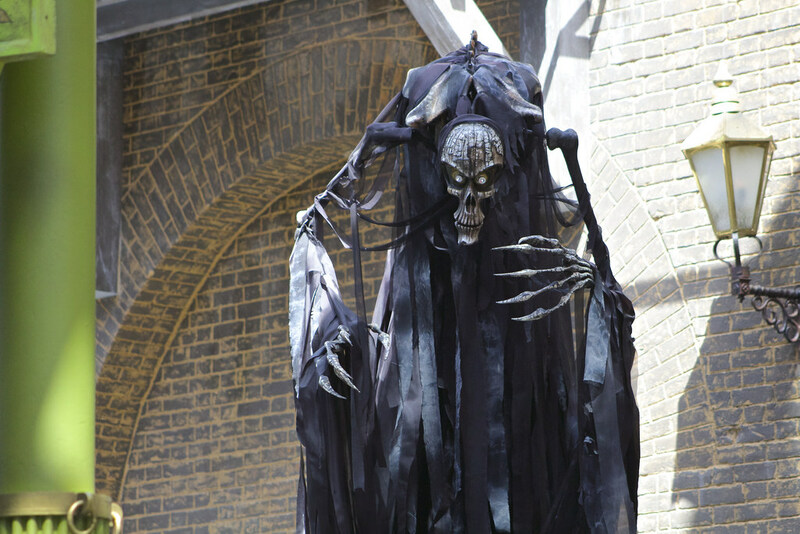 We haven’t seen an awards sweep like this since Titanic in 1998, but Diagon Alley continues its theme park dominance with the live performances of the Tales of Beedle the Bard. 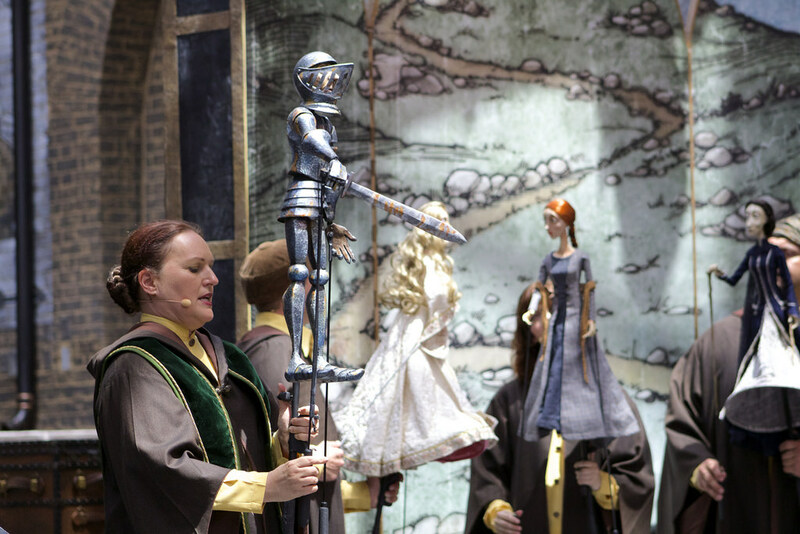 The Wizarding Academy of Dramatic Arts (WADA), a roaming street troupe, performs hourly in Diagon Alley to recreate the tales from Wizarding World’s equivalent of Aesop’s fables. Using Michael Curry puppets (Finding Nemo: The Musical, Tapestry of Nations, many Olympic performances) WADA brings to life the morality plays central to the Wizarding World. The Tale of Three Brothers is a parable about the power of wishes and instant gratification (and the basis of the Deathly Hallows,) while The Fountain of Fair Fortune is an inspirational tale about the rewards of overcoming ones hardships and setbacks. Performances from the talented, comedic cast celebrate the many types of dramatic personas to create a real personality that melds with the the stories. This unique style adds style and texture to an already realized world. Highest possible recommendation. Drinking a cold La Fin De Monde while watching the lumberjacks in the Canada pavilion? We can think of worse ways to spend our time. Many guests have simply stopped coming to Downtown Disney over the past 18 months because of how miserable the parking situation had become. It was already the worst at the entire Walt Disney World resort, but it got ten times worse when Disney finally bit the bullet and closed down several of their lots to build a parking garage. 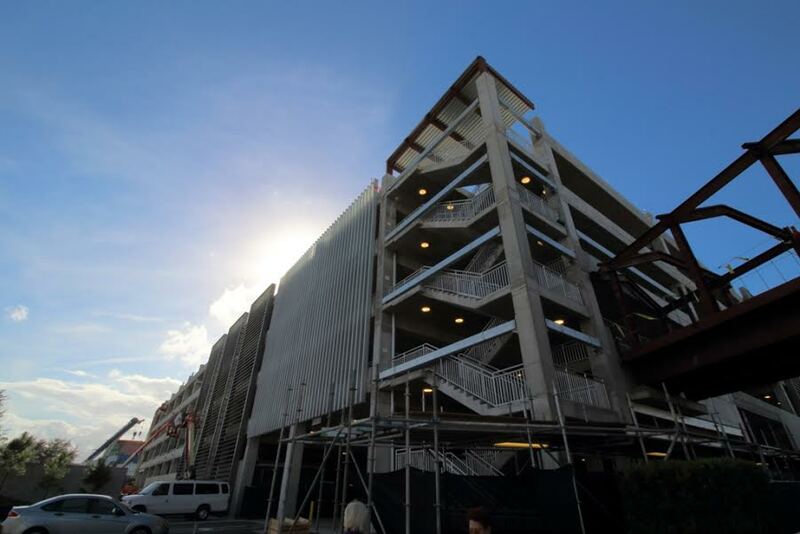 While not completely finished, the garage opened at the very end of last year and has made getting to Downtown Disney a lot easier for most guests. 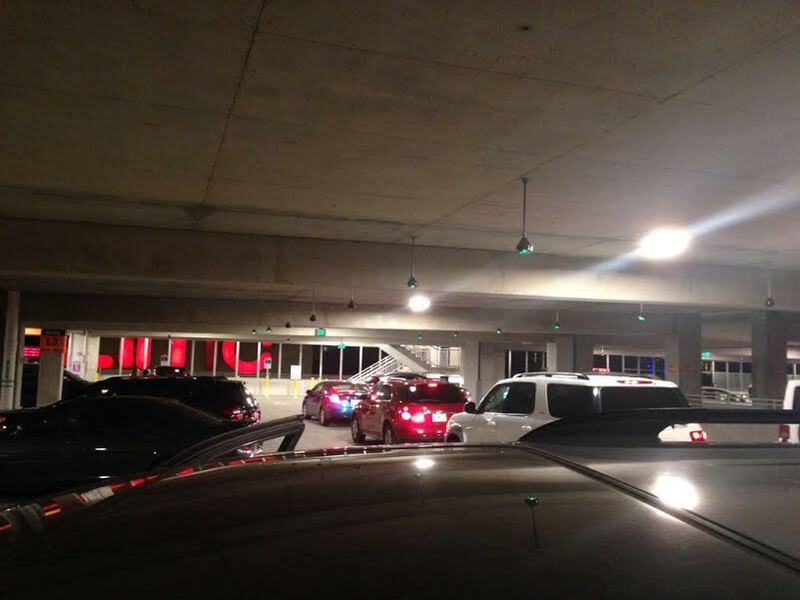 Recently the garage has activated its light system, which alerts guests to open spaces and can save a lot of time fruitlessly driving up and down lanes looking for a spot. It certainly didn’t help that as soon as the garage was partially open, Disney closed down even more lots to start building a second garage. There is also a ton of roadwork going on right next to parking garage, all of which combines into some road rage conditions just trying to get to garage. 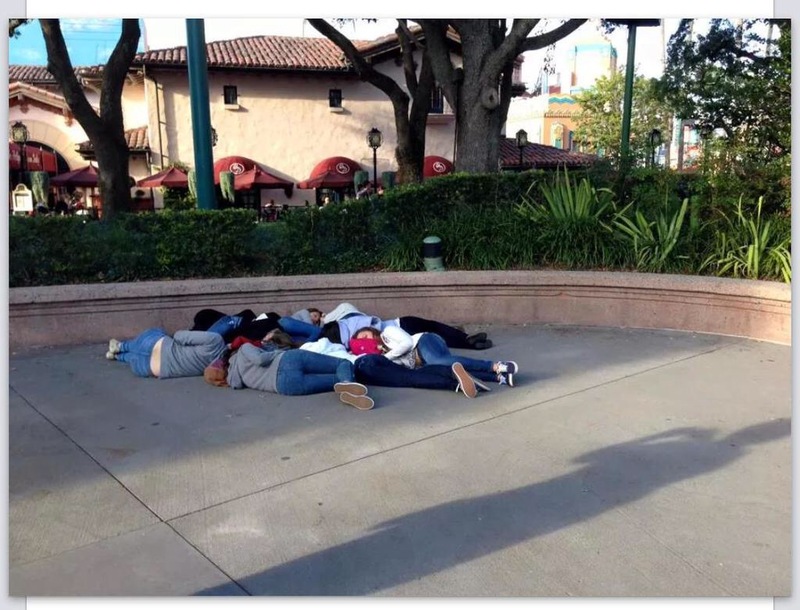 However, all of this is something that had to be done, and at least the majority of people are having an easier time parking at Downtown Disney then they have in years. That said, getting out of the garage is another story and we’ve already heard plenty of nightmare stories from people being stuck in the garage for 30-60 minutes. Just as standing in a Disney bus line without having any idea when the next bus is coming seems to make time stand still, sitting in a parking garage unable to move (and having no idea why) can drive even the most patient person insane. At least on the highway when you are backed up and standing still you can assume there has been an accident. A parking garage that doesn’t even charge people getting this backed up? In a word, frustrating. The NASCAR Sports Grille Memorial award for most maligned theme park attraction – TWISTER…Ride It Out! It never fails, no matter how many times I tell visiting friends and family to skip Twister during their one day trips to Universal Studios Florida, they are drawn to it like flies to bug zapper (meanwhile I have to beg them to see the criminally underrated Horror Make-Up Show.) 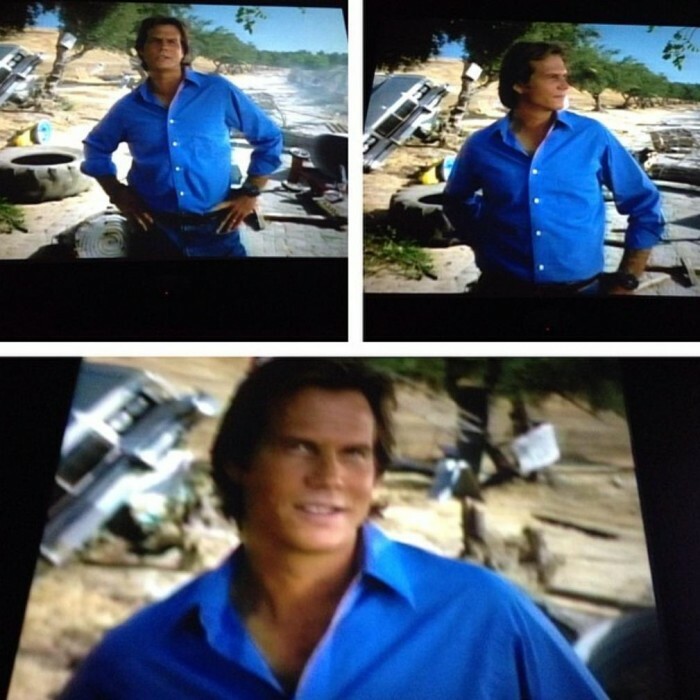 So, instead of fighting the tide at every turn, I have decided to embrace Twister and go Full Paxton™. Be sure to read this article on the “Secrets” of the Universal Orlando Resort, where you can learn more about taking the Control Room tour of the attraction and check out Mark Kleinhenz’s Best Worst Attraction article on Twister. Lastly, be enthralled by Len Testa’s ode to Bill Paxton. Special thanks to crack staff photographer Brandon Glover, Parkscope Joe, Best Week Ever’s Daisy Lauren, photo wunderkind Mike Sperduto, MASTER photo manipulator Matt Cleary, and Megan Stump for their invaluable assistance with this article. Be sure to also check out Brandon on The Park Blogger podcast with co-hosts Aengus Mackenzie and Brian Carey. The Hermione voice thing. Uggghhhhh. So terrible. I hope someone of import sees your article because she does really pull you out of the magic. There are so many talented voice actors in Orlando who can do a better job and would literally take five minutes to fix. I’LL PAY FOR THE STUDIO TIME. Whoops. I see that was hogwarts express not gringotts. Ignore my post. 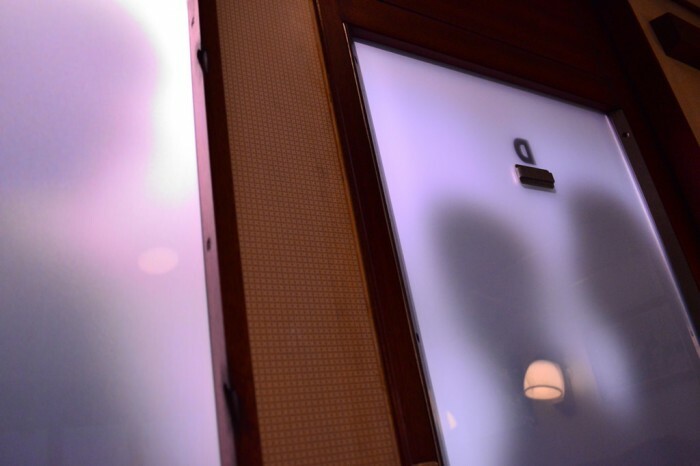 I had just finished watching a POV of gringotts and they had a shadow scene like that in the queue. I love the award! 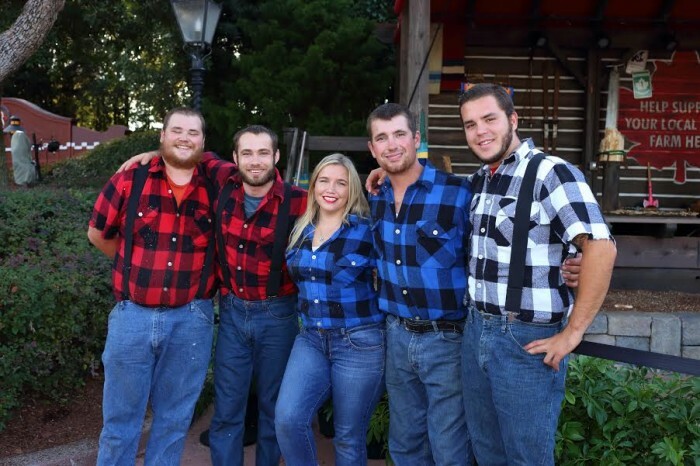 Regarding the Canadian Lumberjacks, I believe LumberJills would be correct (at least in the U.S.). My daughter’s school’s mascot is the Lumberjack and any of the girls’ sports teams are referred to as the LumberJills (as in “Jack and Jill”–although the Jack and Jill nursery rhyme has nothing to do with lumberjacks). We’re all out of great articles Deb. We have some “okay” ones coming in the next couple weeks, and may try to squeeze in a few “meh” ones as well. If you could distinguish which will be “okay” and which ones would be “meh”, I will know how many shots of Len’s favorite beverage to have before reading them, then they’ll all be “great”! Your attention to detail, your sense of humor and your unfettered honesty make all your columns so worth reading. 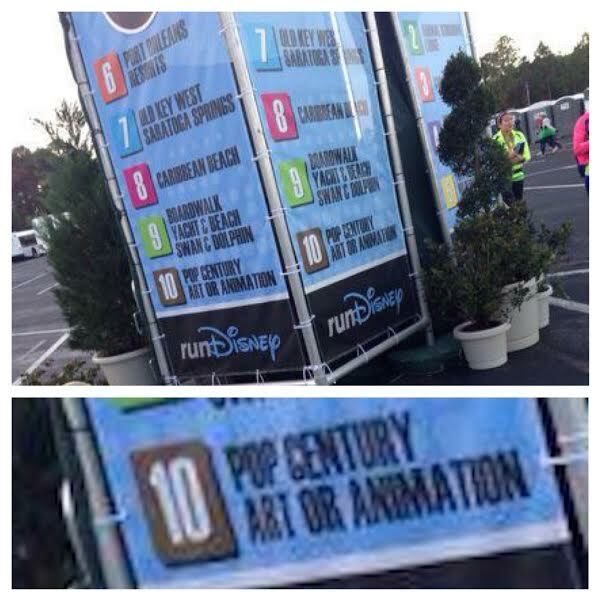 I see an undeniable theme here: WDW has dropped the ball. They’re rested on their laurels for so long the young upstarts have kicked them aside in all their own invented categories: weenies, plussing, immersion. Our next trip to The Sunshine State will be a weeklong vacation at Universal. Disney is going to have to earn their way back to the top. This year I vow to spend some time at the All Star Resorts and will find what is good about them, even if it kills me. The typo actually bothers me more than it seems it is worth — last year we were on a Disney cruise and during the Port transfer video there were typos as well. Although it seems like such a tiny thing, from a company that makes its reputation and earns its premium prices by excruciating attention to detail, the lack of … well, attention to detail … is disturbing to me. That said, they are not alone. I’ve been pretty astonished the last few years at the increase in typos and grammatical errors in written text in other media ads overall, including from companies as big as Verizon and in ad slots as pricey as the Superbowl. I just don’t know what it is that explains this trend, unless it is that most people are so accustomed to filling in the proper word / spelling after auto-correct has had its way that nobody even notices anymore. We hear at the SATURDAY SIX offices are proud of our year long stretch of committing absolutely zero typos. Here, here! Year-long shoold bee hyphinating. Tour groups! At least that’s what it looks like from what we experienced down there last month. 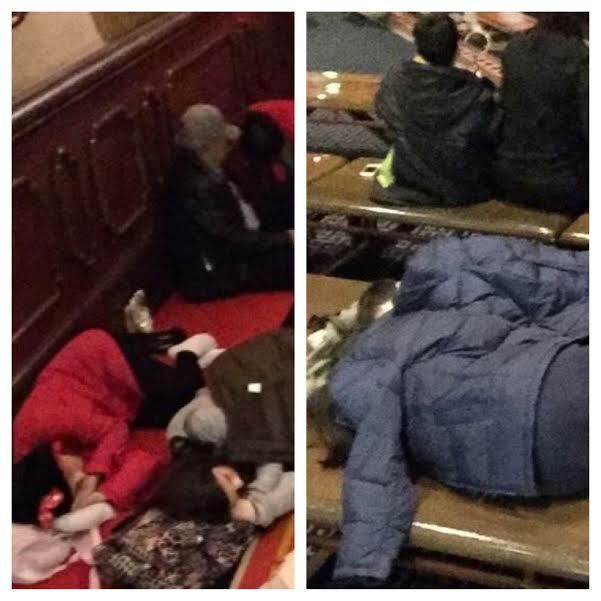 They were everywhere, just sleeping away….by the bathrooms close to Soarin, on the second floor of the Land Pavilion, inside Spaceship Earth, around the Sorcerer Hat (or what was left of it), by DINOSAUR in AK….everywhere! I can’t even count how many nappers we had to step over in a 10 day period. That wasn’t even the worst part though. Somehow, we always got stuck in line behind a huge group of them on the dark rides and all 30-40 of them would take pictures with their flash on! The horror, I know. Are tour groups common in January? If so, I don’t think I’ll be going back during that month again. We’ve been in March, April, May and November and I’ve never seen them before. Just checked Melissa. It’s the right link. 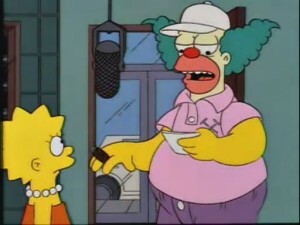 You need to go all the way to the end of that article and it is part of the Double Secret Honorable Mention. Any word on what it going into the old NASCAR cafe location?